Helloo! Today I have the second Danglefoot Nail Polish Once Upon A Time duo to show you. If you don't know, Hayley has started a new monthly series in which she collaborates with a swatcher/blogger to release a limited edition OUAT duo. The first duo was 'Swan' & 'Hook' with FairyTales Nails (swatched here). 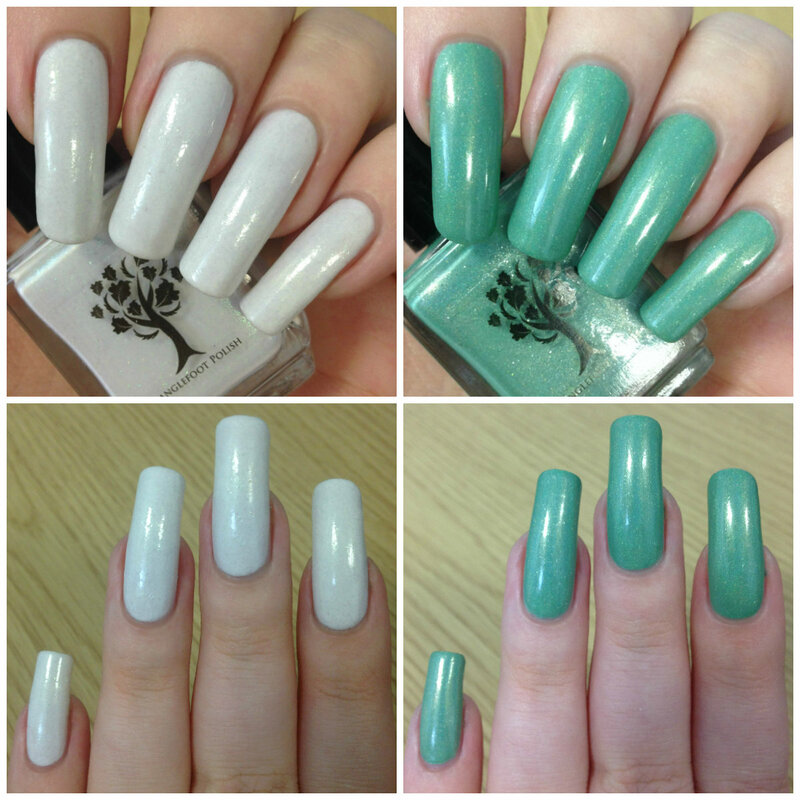 This months is 'Snow' & 'Charming', and is a collaboration with Megan from Sailor Nails. Read on for swatches and more info! 'Snow' is a jelly-ish white with green shimmer, iridescent green flakes, and scattered holo. It is a bit streaky at first, but has a lovely smooth formula and is opaque in three coats. The flakes leave it a tiny bit textured, but are smoothed out easily with topcoat - they also aren't hard to remove. Below is three coats and topcoat. 'Charming' is a soft jade green holographic with silver flakes. 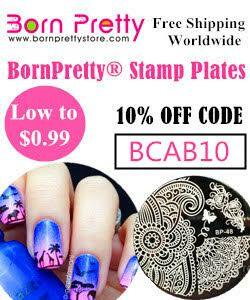 It is very smooth and easy to apply, and opaque with two thin coats. The flakes lie down flat, and like in 'Snow' are very easy to remove. Compared to the prototypes I swatched here, it is more holographic and has the added flakes. Below is two coats and topcoat. What do you think? Of course I love them! Both my Danglefoot and Once Upon A Time obsessions have grown massively recently, so I was super excited to try these. Both have gorgeous formulas and I think they would work well in a mani together. 'Snow' is also Danglefoot's first official white polish and I think Hayley did a great job! Danglefoot Polish's etsy store is closed for now, but should be open again around September. Unfortunately, this duo won't be restocked - but I can promise the next one will be very exciting! I just saw a Danglefoot polish on FB somewhere, and I was curious. Very coincidental and helpful you have this post today. Fun duo! Snow and Charming are my favorite couple from OUAT and I like both these polishes! Such a shame these won't be restocked because they are so pretty. Both of these are beautiful and right up my alley!! This duo reminds me of Winter.